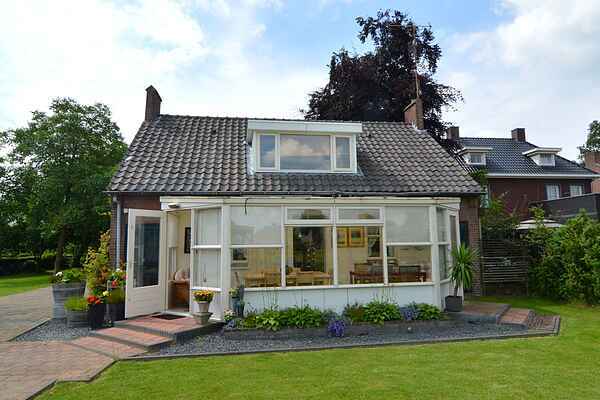 This attractive holiday home is in a convenient position in the charming town of Soerendonk. The holiday home is pleasantly furnished using various themes. The bedrooms are in Egyptian and Kenyan styles. The large living room has a spacious conservatory. It is perfect for enjoying breakfast and admiring the uninterrupted views. When you enjoy a holiday in Soerendonk you are in the region historically known as 'Burgundian' Brabant. Belgium and Limburg are within easy cycling distance. Soerendonk is in the Kempen area and surrounded by woods and heath land. You can enjoy walking and cycling along the numerous cycle routes. The attractive towns of Budel and Maarheeze, with good shopping and pleasant pavement cafes, are just 3 km away.